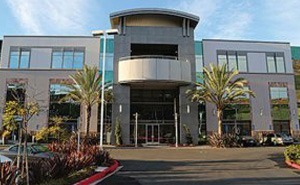 Surgical Center of San Diego most literally operates under the slogan, Clinical First™. Staffed by top-notch clinical professionals in a variety of specialties, the surgical center–in business since 2008–aims to offer every patient quality care, specialized equipment, and advanced technology in a secure and family-friendly environment. The surgical center has teamed with Surgical Care Affiliates (SCA) to offer optimum surgical procedures and enhance the state of healthcare in their service area. Accredited by the Accreditation Association for Ambulatory Health Care (AAAHC), the surgical center conforms to AAAHC standards for quality healthcare. The center’s areas of medical specialty include Gynecology, Orthopedics, Podiatry, Pain Management, General Surgery, Urology, Gastroenterology, and Ent (Otolaryngology). The surgical center maintains a 4.7 star rating (from a possible score of 5) on Facebook and a grade of A Plus from the Better Business Bureau (BBB). Dr. Payam Moazzaz is a resident spine surgeon at Surgical Center of San Diego, where he specializes in conditions that include back pain, scoliosis, kyphosis, degenerative disc disease, complex spine disorders, neck pain, prior failed surgery, sciatica, and select spinal trauma. He is a premier San Diego spine surgeon.